Just look at it. Do you see those artful lines? Those graceful curves? This, my friends, is what you get when you don't set out to create just another boring-old utilitarian enterprise tablet for soulless purchasing departments — this is what happens when you put design on a pedestal and refuse to settle for less. Meet the Panasonic Toughbook FZ-L1. 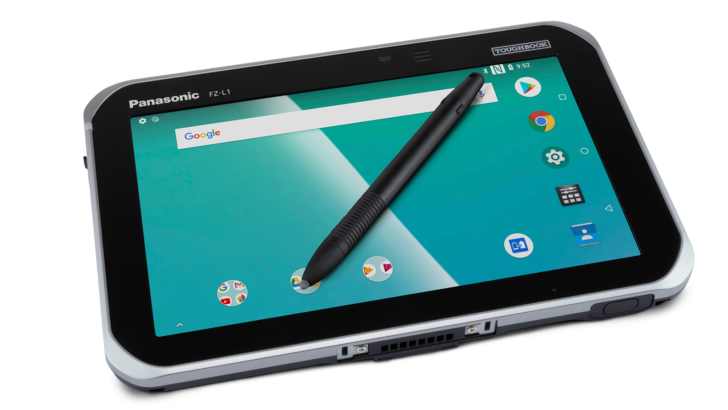 Sure, Panasonic could play things safe and churn out another incremental Toughbook, a tablet with slightly better specs than before, and maybe the odd bell or whistle. Just look at how stylish all the style is on this stylish Panasonic tablet was written by the awesome team at Android Police.